They will hotfix a friggin’ overpowered scourge strike, but a legitimate issue for tanks has to wait for an incoming fix. Blizz needs to start getting priorities straight, this PvP burst damage is starting to ruin the regular PvE. 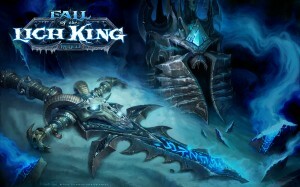 Fail of the Lich King? Well, patch 3.3 has dropped and those of us lucky enough to get on early have had some immersion into the new instances and quests. I started the night out very happy and ended it in almost complete nerd rage. The picture above, seems to look like “Fail” instead of “Fall”. Look again, a quick glance and you see fail and that is how I feel as of now. I have a laundry list of things I am not pleased about – the new camera follow is AWFUL! – they replaced the wall of yellow “Additional Instances Cannot be Launched” with a load screen, then a lovely debuff that does not allow you to run instances again for 15 minutes. That is AWFUL! The pinnacle of the 5-man dungeon “Halls of Reflection” crashes upon finishing it, so you are unable to get the loot you deserve or hand in the final quest. I played on the PTR almost the entire time it was up. I used the random dungeon feature and saw a finished HoR run. Blizzard seems to have ZERO scale prediction. And this to me leads me to the big problem. This company makes millions a month on subscriptions, yet they cannot seem to plan for capacity. Plan ahead, scale more then you need, I am sure you have the money, or is that cutting into the Bobby Kotick yacht fund? You always know you have an influx of returning/new subscribers per patch and this boost of users is ruining the subscribed experience. This just has bad planning written all over it. Were they prepared? Did they adequately test? I do not know these answers. I seem to think it was pushed early. This allows them to address issues under stress prior to the holiday, however it allows them to not lose more users to holiday dull drum. I think they pushed it to help the experiences of new holiday subscribers. We now are beta-testing the events for the people that will log on Dec 25 and beyond compensation, in fact we are paying for it. Finding out that the Lich Kings final confrontation will not be until sometime in April – if the 28 day lock out per wing is consistent. Way to draw out the patch. These problems are inherent to MMORPGS, it is just a fine line to walk, we want information, then admitting that the problem is load and heavy traffic. We want the info, we don’t want to hear it was something that could have been prevented. You know your subscriber numbers and you should be prepared for all those users to log-in at any time. 3.3 is here. Blizzard is currently working hard getting the servers all patched up and ready to go. I am looking forward to this patch. Not so much for the Paladin, but for the DK. I feel this is the perfect opportunity to leg him catch up. 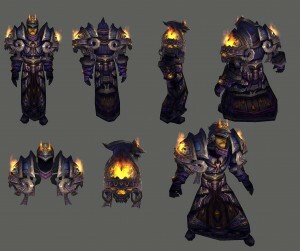 The 3 new 5 mans seem like they will be a wealth of gear for all classes of all levels. 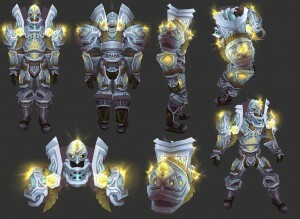 This should make the gearing of alts even easier and better then it has ever been. This might make just rejuvenate some of my feelings for the game as they have been very static as of late. I do not like the gated content. ToC was gated, that was to extend some relatively easy content. I hope this is not the same in ICC. Although I doubt it. 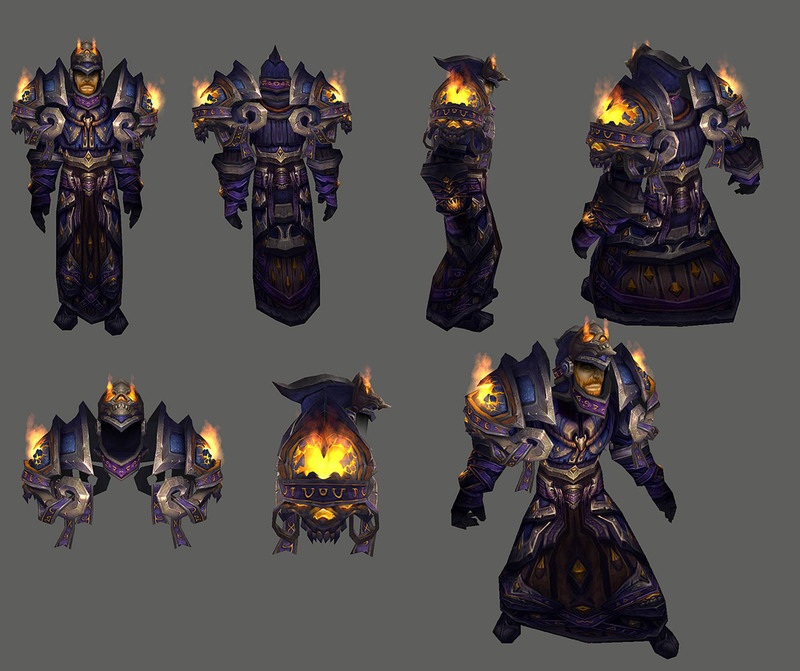 It seems to be a way to level the playing field for realm and world firsts. Blizz knows the only answer – I think it is they dont have the encounters completely done and balanced, yet didn’t want to lose subscribers over the coming months as we wait. I look forward to the runs tonight. Thanks for the present Blizzard!